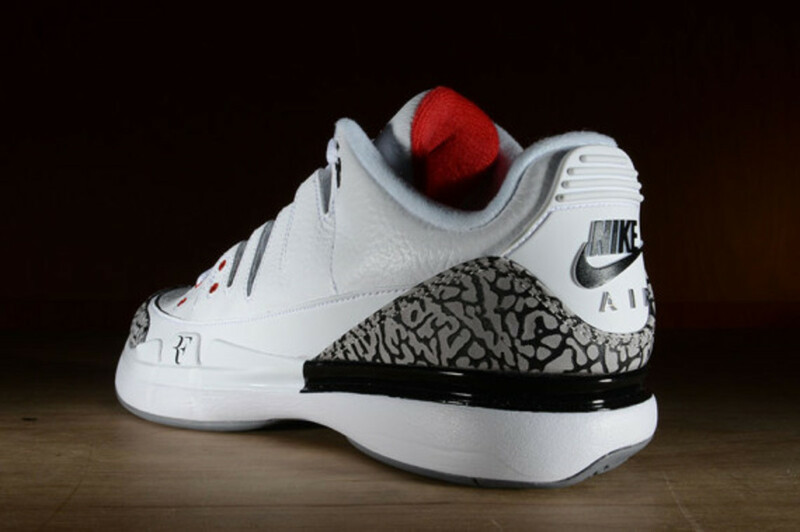 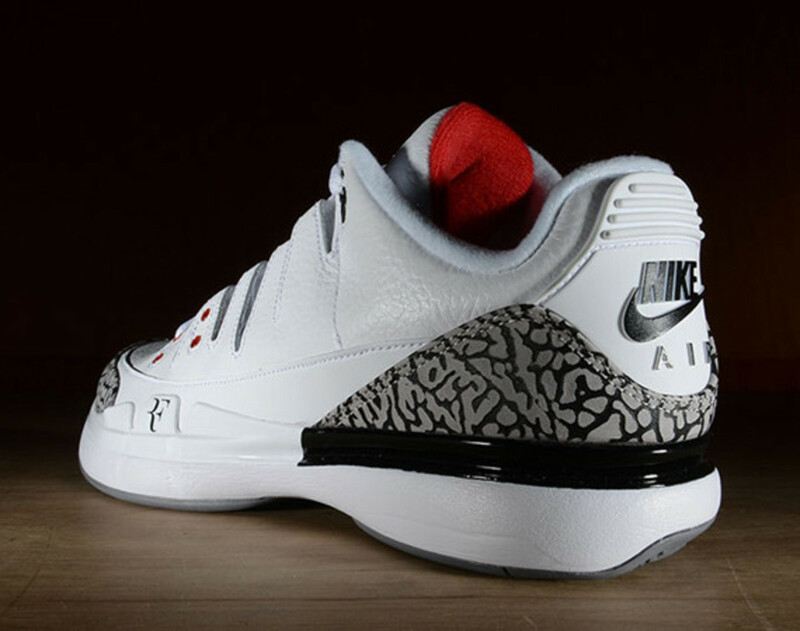 Previewed here a week ago, the Nike Zoom Vapor Air Jordan 3 is set to launch tomorrow at Flight 23 at Footaction. 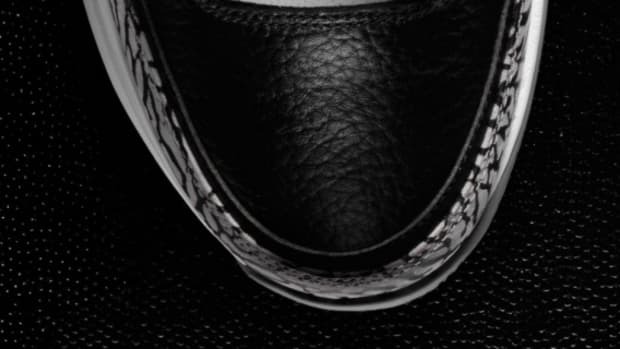 This spate of new images show off details combining two distinctive shoe designs both created by Tinker Hatfield, decades apart. 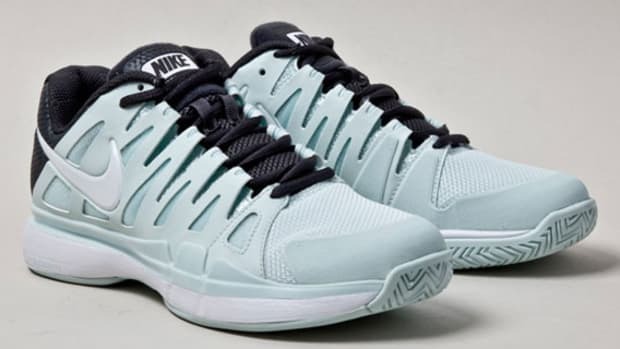 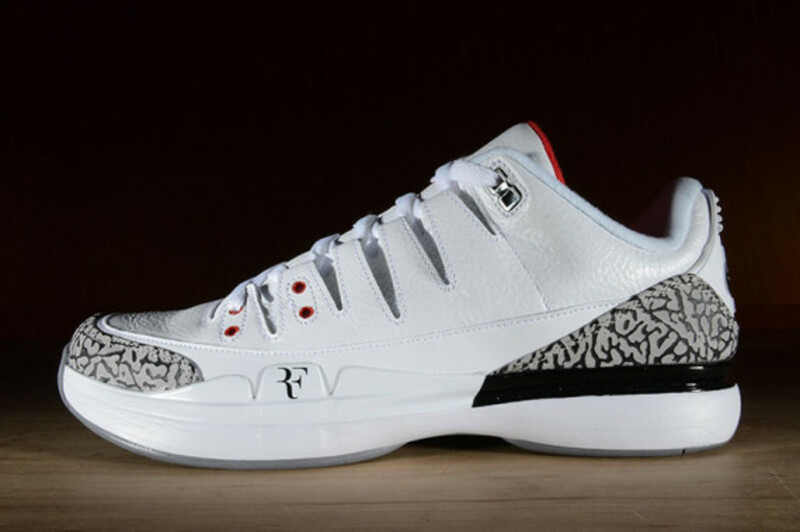 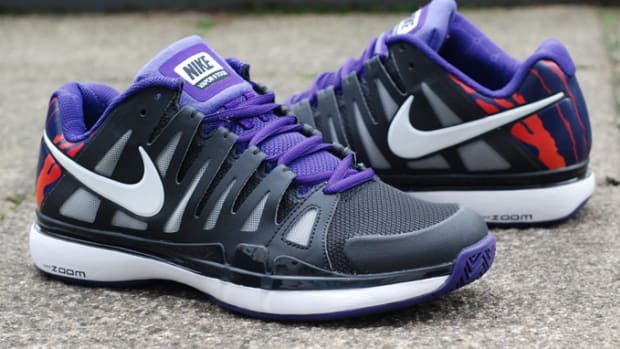 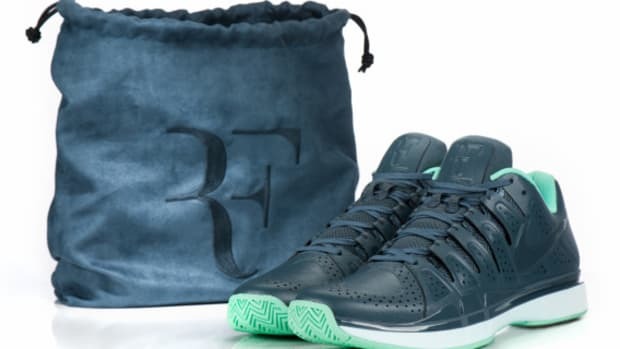 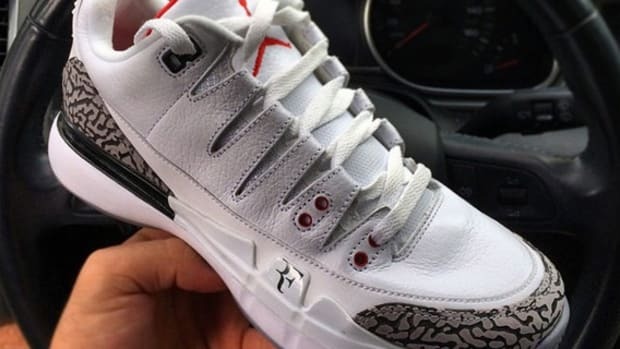 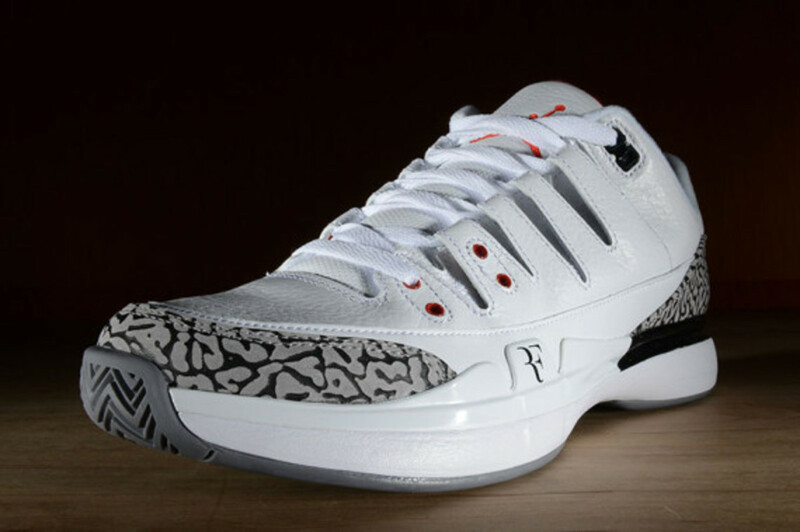 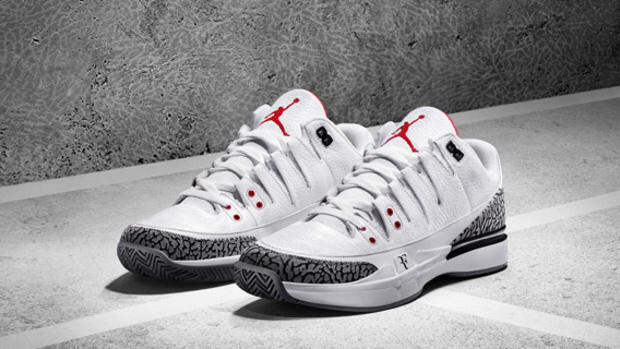 Retaining the basic silhouette of Roger Federer&apos;s Nike Zoom Vapor 9, the shoe features a number of design notes from the Air Jordan 3, including cement print overlays, Jumpman branding on the tongue and classic Nike Air logo hit on the heels. 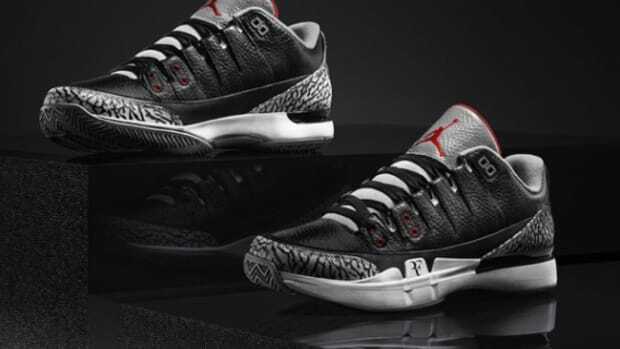 The kicks will be launching in limited numbers tomorrow, so it&apos;s probably wise to get to Flight 23 at Footaction early to procure your size.